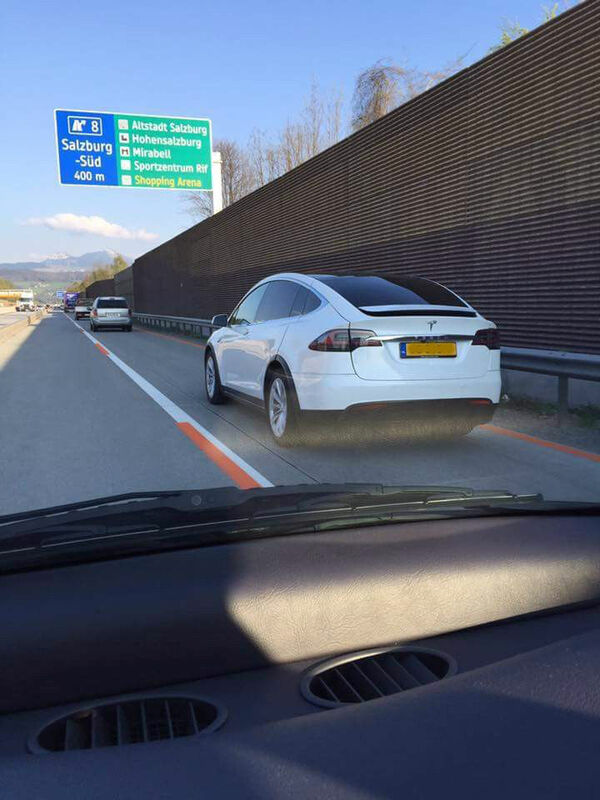 A second Model X has been spotted this weekend in Europe. 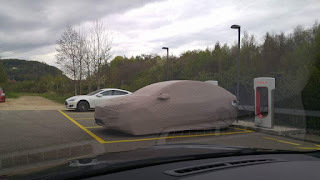 Members of Tesla Owners Worldwide Facebook group saw a Dutch registered Model X charging in Pratteln, Switzerland with the cover on to conceal its identity, then heading on its way towards Salzburg. 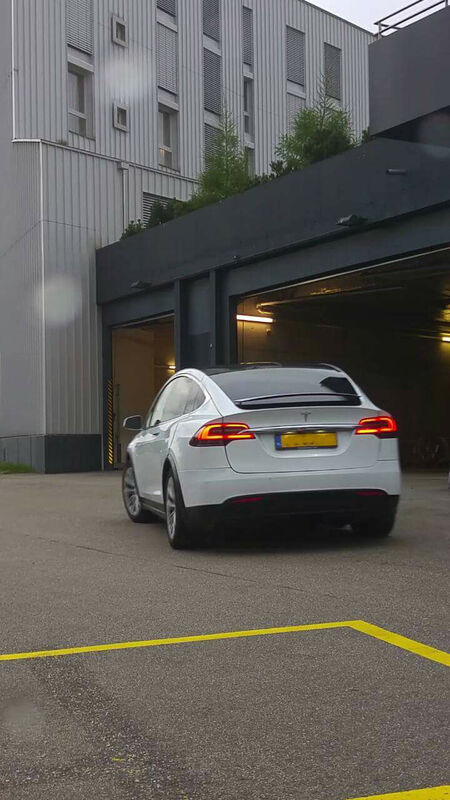 Its licence plate indicates that it has been registered in The Netherlands on March 16th 2016. 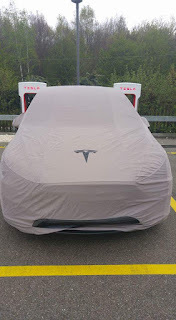 Back in February, Dutch driver Perry Dolmans saw a Model X driving at night north to the Tesla Factory in Tilburg on motorway A27 toward Gronichem. This could possibly be the same Model X identified in Pratteln and could very well be from Tesla itself. 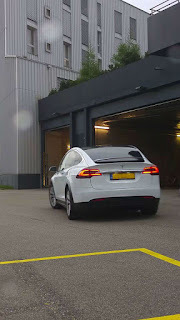 Furthermore, the white license plate - or transito - suggests it was temporarily registered up to 14 days after the issuance of its official yellow Dutch license plate on March 16th 2016. Moreover in February, a different Model X was spotted driving in Ingolstadt, near the Audi Factory in Germany.